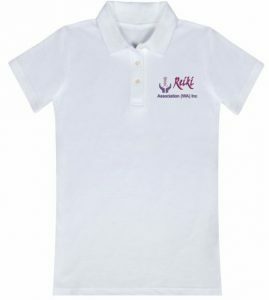 White cotton shirts with embroidered logo. All shirts cost $15.00 and can be bought at Reiki Association WA meetings. Please bring cash or cheque payable to Reiki Association WA. or Contact Chairperson with the address to send your polo shirt to.